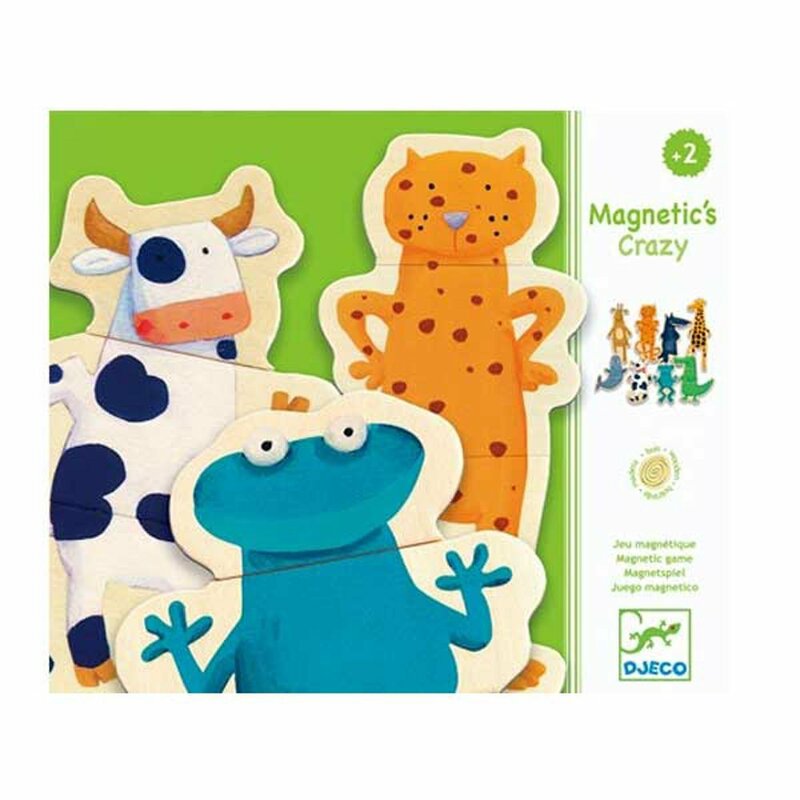 Mix and match the magnetic animals to create new combinations with this great set of magnetic pieces from Djeco. 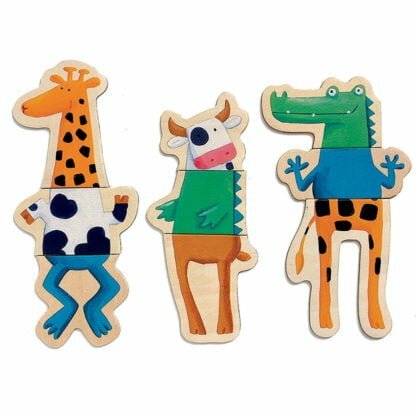 Perfect for a fridge or bedroom, the pieces are each put together with simple curves so that everything fits together. 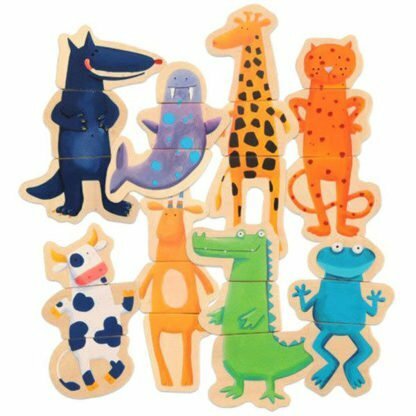 There are 9 different puzzles with 27 pieces, so there are many new animals to create. Really well designed and an activity that everyone can play together.